Between 1959 and 1964 Mr. Robert Aller taught extracurricular art classes at the Alberni Indian Residential School in Port Alberni, BC as a volunteer. In 1960, he returned to his hometown of Dauphin, Manitoba where he taught a weekly evening art class to children of the Mackay Indian Residential School. 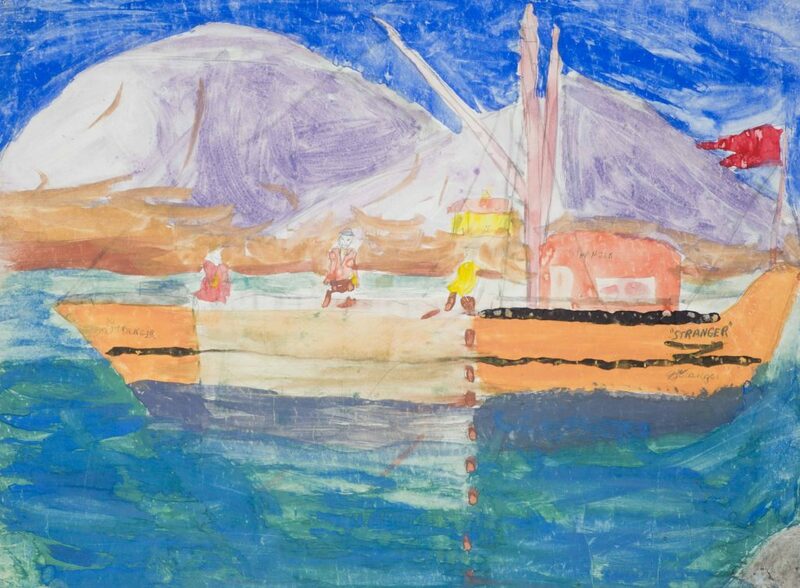 As a professional artist, Mr. Aller’s interest in children’s art was inspired by his former teacher, Group of Seven member Arthur Lismer, who was an advocate for children’s art education. Aller’s classes focused on children’s individual creativity and development of self-expression. His unique approach taught children how to paint, not what to paint. 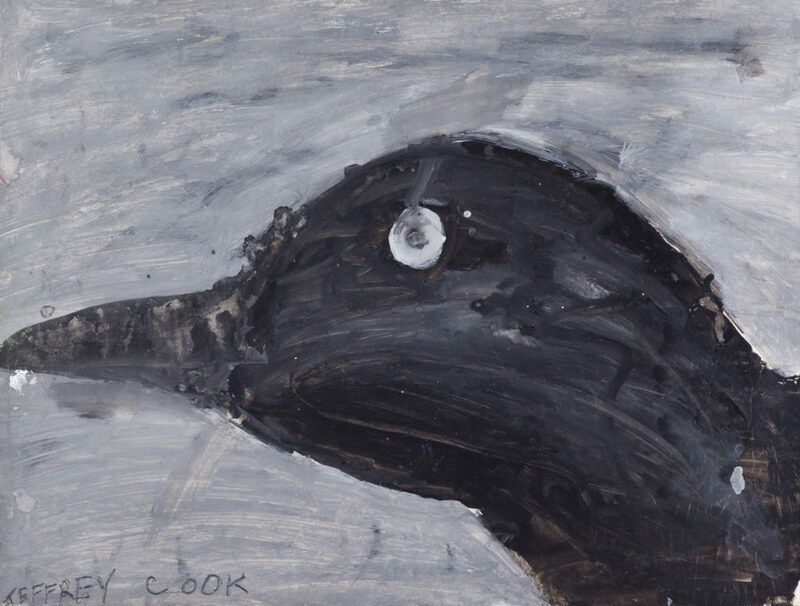 The paintings in this exhibition display a sample of the subjects that children chose to represent in their work, such as animals, birds, people, and places. 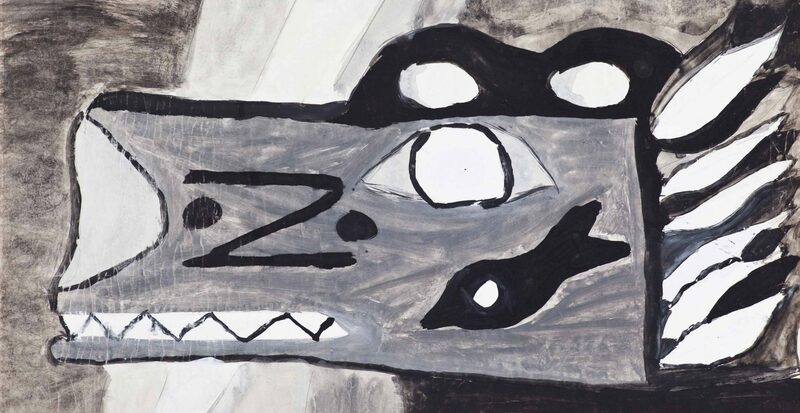 Survivors who painted these images as children recall that the content of their paintings came from specific memories of home, or their observations of the world around them. 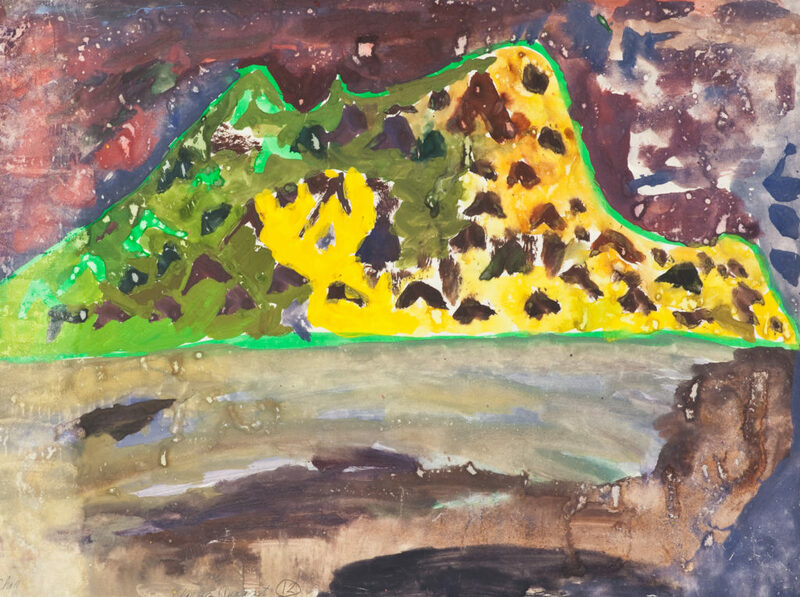 Aller’s focus on painting techniques allowed children the freedom to experiment with colours and shapes, sometimes resulting in abstract compositions. My painting reflects my lifelong passion for fishing. When I was very young, before I was taken away to residential school, I asked to join my father on his fishing trips. My father replied that I had to learn to tie knots before being allowed to go, so I went to my uncle and grandfather to learn. By the age of five I could splice rope and tie all manner of knots, and I convinced my father to include me on his fishing trips. 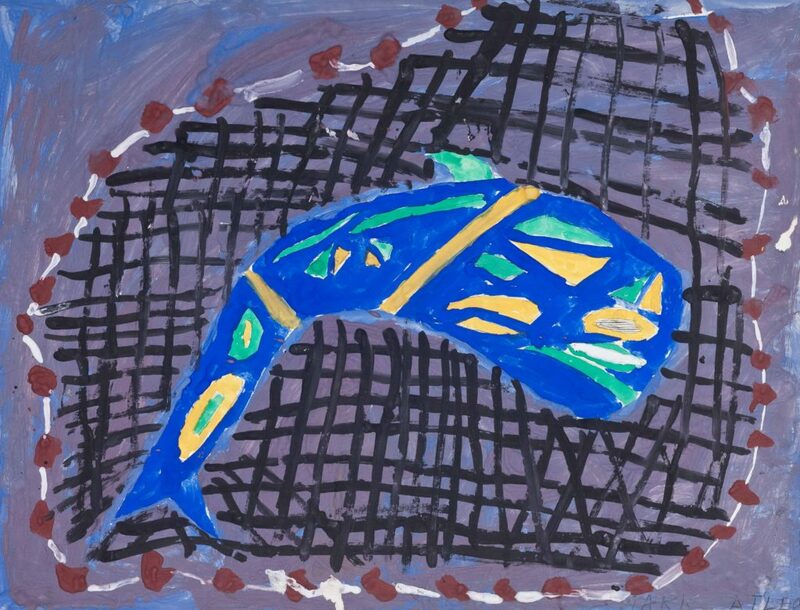 Years later in the Alberni Indian Residential School, when I had the chance to express myself in Robert Aller’s painting class, it was my memories of fishing that I chose to depict. Fishing became a “safe space” for me that I returned to after my release from residential school. I believe in the importance of ending the cycles of abuse and shame that have been passed on for generations from residential schools. I thank my ex-wife and the longhouse traditions that she guided me toward, compassionate psychologists, and my return to my Ahousaht spiritual traditions, for their roles in my recovery. 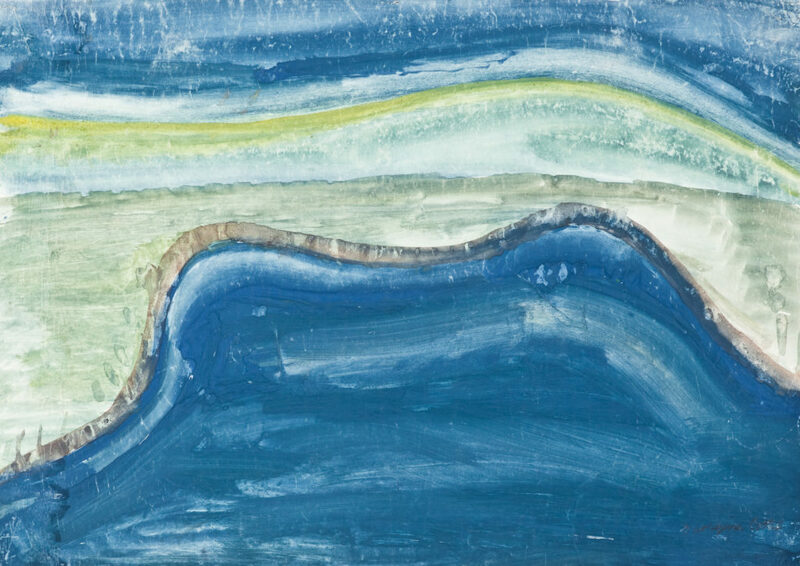 Like my return to fishing after residential school, my painting’s return to me was an important part of my healing. It now hangs in a corner of my house and I see it every day. I continue my healing journey while I offer my help to my nation and community as an Elder to youth who ask for guidance. I want to show my painting and tell my story to help others work through their own experiences of abuse. I attended the Alberni Residential School for a total of thirteen years and for many of us it was similar to being in a penitentiary. Our escape from this reality was to participate in outside activities such as sport teams, sea cadets, and art classes like Mr. Aller’s. It was paintings like these that reminded us what life must of been like in our communities. When my painting was returned, I made a commitment to keep this story alive, good and bad by recreating this raven on my family curtain. Curtains tell stories of our family history and this raven will be a reminder of my story. Some of my grandchildren assisted in the curtain painting and it is through their eyes I imagined how as an eight year old what those art classes must of been like with Mr. Aller. Every one of us has a history and it is through history that we can change the future. There are two wolves in my painting. These wolves come to my family through my Great Great Grandfather on my father’s side. There are two wolves in the painting. The bigger wolf is the young wolf. The wolf in the middle is the mature wolf. In my family’s tradition, one wolf comes from the land, and the other comes from the sea. They are successful in their lives as separate beings, but together, they are more powerful. When either wolf is in danger or trouble, the other will come to their aid. The other wolf will keep the family strong. At the base of the young wolf, near its mouth, is the image of a place called the Nitinaht Narrows. It is where the lake emerges into the sea. When I look at this painting now, I see that I must have had some guidance on how to use the paint. 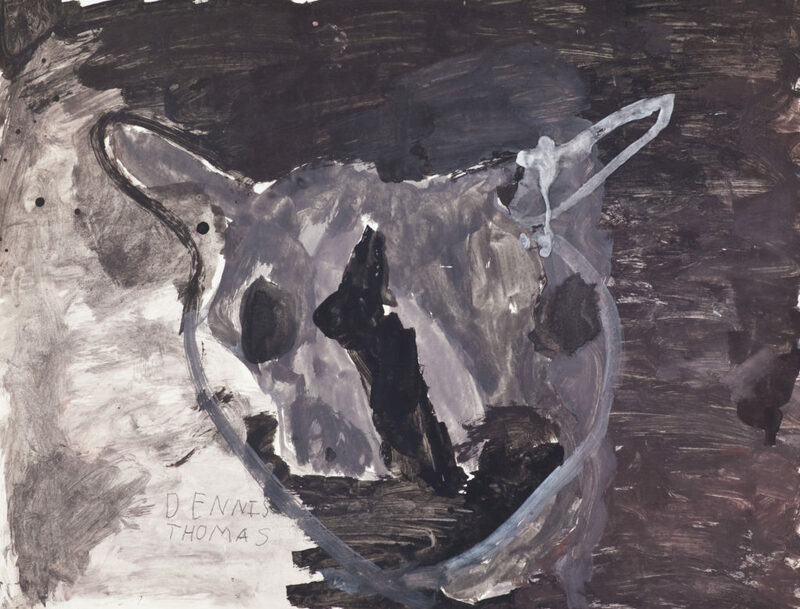 I notice how the outline of the wolf on the light side of the painting is in black and the dark side of the painting, the wolf is outlined in white. Phyllis passed away in February 1975 at the age of 30. As her daughter, I did not have the opportunity to speak to her about her experience in the Alberni Indian Residential School, and more specifically her memories on the art classes with Robert Aller. All I had ever heard from the generations before and after Phyllis on the residential school experience was the negative impacts of cultural genocide, abuse, loneliness, and trauma. My first thought when shown her paintings was that there was a ray of sunshine in their otherwise dark world. I am ever grateful to Robert Aller for allowing the children to freely express a bit of their culture – which is something they were normally severely punished for – and especially for his having saved the art work as it allowed me the opportunity to touch something Phyllis had touched 50 years later, as well as to see a bit of her spirit.